DUI is an offense under Florida law. The offense is proved by impairment of “normal faculties” or unlawful blood alcohol or breath alcohol level of .08 or above. The following information applies to those with their first conviction. Fines: If this is your first conviction, your fine will be between $500-$2,000. Florida has some of the strictest laws in the nation regarding drinking and driving. A DUI conviction comes with serious penalties including jail time, fines, and requirements to complete community service and install an ignition interlock device. In addition to the criminal punishments, the driver can face administrative and civil repercussions, including a driver’s license suspension or revocation. Being arrested for DUI can be an intimidating experience. The most important thing to keep in mind is that an arrest does not necessarily mean that you will be convicted of DUI. Although driving under the influence is a serious offense, having the right DUI defense lawyer in Tallahassee, FL, at your side can help you defend your good name and move on with your life. After the arrest, you only have ten (10) days to protect your driver’s license by demanding a formal review hearing. Do NOT just waive your rights by seeking immediate reinstatement of hardship privileges. Hiring an attorney during that ten-day window is the most important decision you will make. Before you decide, you should schedule a free and confidential consultation to speak with an attorney at Pumphrey Law. 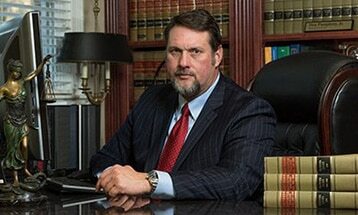 Attorney Don Pumphrey has years of experience defending clients facing drunk driving charges. He has attended advanced training seminars and received recognition from National College for DUI Defense (NCDD) which is the leading organization for the top DUI defense lawyers across the United States. Don Pumphrey and the other attorneys in his office are experienced in the tactics used by DUI enforcement officers throughout Tallahassee and Leon County. He represents clients throughout the Florida Panhandle, including Leon County and the entire Big Bend region of North Florida, including Liberty County, Wakulla County, Jefferson County and Gadsden County. Call (850) 681-7777 or send an online message to schedule a free consultation with an attorney. Let us put our experience to work for you. Can I Be Charged With DUI in Florida if the Car Was Parked? Under Florida Statutes § 316.193, drivers can be considered under the influence when they are driving or even when they are not actually driving but merely in “actual physical control” of a vehicle. DUI also requires a showing that at the time, the person was under the influence of drugs or alcohol to the point that the person’s normal faculties were impaired. Florida’s DUI laws define the term “normal faculties” to mean the ability to perform the mental and physical acts of daily life, such as driving, seeing, hearing, balancing or talking. Florida’s DUI laws define the term “normal faculties” to mean the ability to perform the mental and physical acts of daily life, such as driving, seeing, hearing, balancing or talking. Prosecutors also have another way to prove DUI regardless of actual impairment. Under Florida’s “per se” version of DUI, if your BAC at the time of driving is above the legal limit of .08, then you can be convicted of DUI even if the jury is not convinced that you are actually impaired. Law enforcement officers have various ways to determine a driver’s BAC, including a breath test, blood test, or urine test. In Florida, the most commonly requested chemical test is a breath test on Florida’s Intoxilyzer 8000. Law enforcement officers have various ways to determine a driver’s BAC, including a breath test, blood test, or urine test. In Florida, the most commonly requested chemical test is a breath test on Florida’s Intoxilyzer 8000. The punishments and penalties are the same, regardless of which alternative method is used to allege this offense. Although both methods of proving this offense can be alleged at trial, if the defendant is found guilty, then the court will only impose a sentence on one count of DUI. One of the most confusing aspects about DUI offenses in Florida is that a person can be charged with the offense even if he or she was not driving. Under Florida law, if a person is in actual physical control of a vehicle while intoxicated, he or she can be arrested. If the vehicle was operable or whether it could not be driven because of a mechanical problem. In many of these cases, your criminal defense attorney will argue that your initial detention was illegal since the officer did not see you driving and had no reason to detain you. Additionally, without sufficient evidence that you were in “actual physical control” of the vehicle, your attorney can file a “motion to dismiss” the DUI charge. If you were charged with driving under the influence when you were not actually operating the vehicle, a criminal defense attorney in Tallahassee, FL, can help you build a strong defense against the charges as you fight for the best possible result. Florida has an implied consent law. Florida’s implied consent law, under Florida Statutes Annotated § 316.1932, provides that anytime a person gets behind the wheel in Florida, he or she is deemed to have given his or her implied consent to submit to a chemical test during a DUI stop. However, this does not mean a driver has agreed to field sobriety tests. If a driver refuses to submit a breath, blood or urine sample for a BAC test, he or she can face civil penalties, including an automatic license suspension for up to one year. If it is the second time he or she refused a BAC test, the license could be suspended for up to 18 months. When a driver refuses a test, he or she automatically is arrested and receives a “Notice of Suspension.” The suspension is imposed immediately, and the license can be suspended for up to one year. One of the most important things to know is that a driver has only ten (10) days after an arrest to fight for his or her driving privileges. Within that 10-day period, drivers must request a Formal Review Hearing with the Division of Highway Safety and Motor Vehicles to contest the driver’s license suspension. An attorney can help to obtain a 42-day driving permit to drive for business or work purposes while fighting the suspension. The driver’s license suspension is entirely separate from the DUI charges. The suspension is a civil penalty, and the drunk driving charges are criminal penalties. This means in some scenarios a person could avoid a DUI conviction, but still suffer the administrative DUI suspension. A DUI in Florida is administered when someone in control of a motor vehicle has a blood alcohol or breath alcohol level of .08 or above. If convicted there are different penalties for a Florida DUI depending on if it’s your first offense or higher and other factors such as if a child was present, breath test was higher than .15, and if an accident occurred. When the driving under the influence offense occurs in conjunction with property damage, the crime is charged as DUI with Property Damage. Certain enhanced penalties are attached when the driver is charged in an incident that involves an accident causing property damage to another vehicle or non-serious bodily injury to another person. The enhanced penalties include a longer statutory maximum period of incarceration and an enhanced fine. If the offense includes an injury to another, the charges will be enhanced. Driving under the influence can be charged as a third-degree felony offense if another person is “seriously injured” as a result of the accident, even if that other person was a passenger in the defendant’s vehicle. The charge of DUI with Serious Bodily Injury carries with it a maximum statutory penalty of five years in Florida State Prison. Florida has a “zero tolerance” policy for underage drinking and driving. Even one alcoholic beverage can lead to an underage driver being charged with driving under the influence. In a Juvenile DUI, a driver younger than 21 cannot blow more than 0.02 BAC. The penalties could include a six-month suspension for the first offense. Each piece of evidence excluded by the court may increase the chances you will win a motion to dismiss or obtain a “non-guilty verdict” at trial. Even before trial, filing and litigating pre-trial motions remain the best way to force the prosecutor to reduce the charges to a less serious offense, such as reckless driving. The officers in the Traffic Unit with the Leon County Sheriff’s Office receive specialized training in DUI enforcement to detect and deter drivers impaired by drugs or alcoholic beverages. Members of the unit work in roving patrols, DUI saturation patrols, and stationary DUI checkpoints (often called a “DUI roadblock”). Leon County DUI enforcement officers on the traffic unit work in conjunction with other local agencies to perform saturation patrols and sobriety checkpoints. The Florida DMV issues driver’s licenses, license plates and vehicle registration for the state of Florida. It also includes information on driving records, auto insurance, learners permits and traffic ticket options. MADD is the nation’s largest nonprofit organization working to protect families from drunk driving and underage drinking. This site provides information on its various services, including resources for crime victim compensation and assistance. AA is a national association for overcoming alcoholism and alcohol abuse. The main site includes information about the history of AA, its philosophy and the methods it uses to help individuals beat alcoholism. An arrest for a DUI does not mean you will be convicted of this serious crime. The right Tallahassee DUI defense lawyers can frame a strong defense strategy while making sure your rights are protected, giving you the greatest chance at a reduction or dismissal of charges. Contact Pumphrey Law today at (850) 681-7777 to schedule a free and confidential consultation to discuss the details of your case. Whether your case involves a breath, blood or urine test, or a refusal to submit to testing, call Pumphrey Law to discuss your case with an experienced DUI attorney in Leon County, FL.